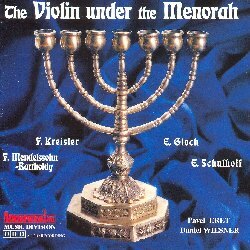 On this CD, you will find compositions for violin and piano or violin solo, to whose authors circulated in their veins the blood of King David. You will listen to compositions from early romanticism across virtuoso romanticism until modern period of the first half of the 20th century. This CD is sold out for the time being.